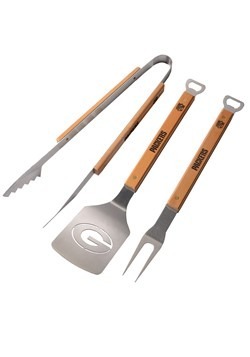 Hey, we’re all for "cheesehead" hats. 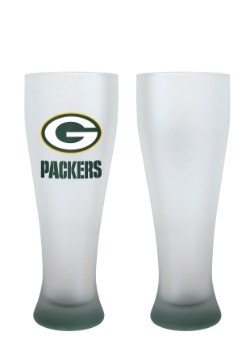 No true Packers fan should be without one; it’s the ultimate symbol of Green Bay fandom, and a fitting tribute to life in Wisconsin (where cheese is the official dairy product). 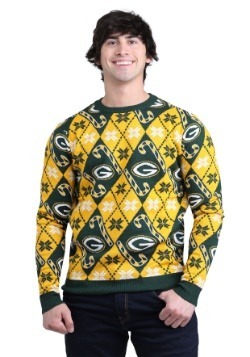 But wouldn't it be nice to wear something that shows your deep dedication to your favorite team… without getting weird looks when you wear it outside of Lambeau Field? 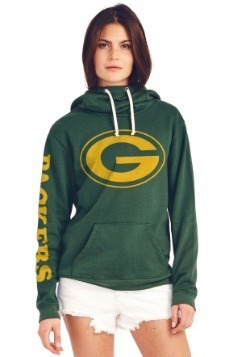 Now you can fly the old green and gold in vintage style for a look that suits any occasion -- whether it's game day, or a night out on the town with your buddies. 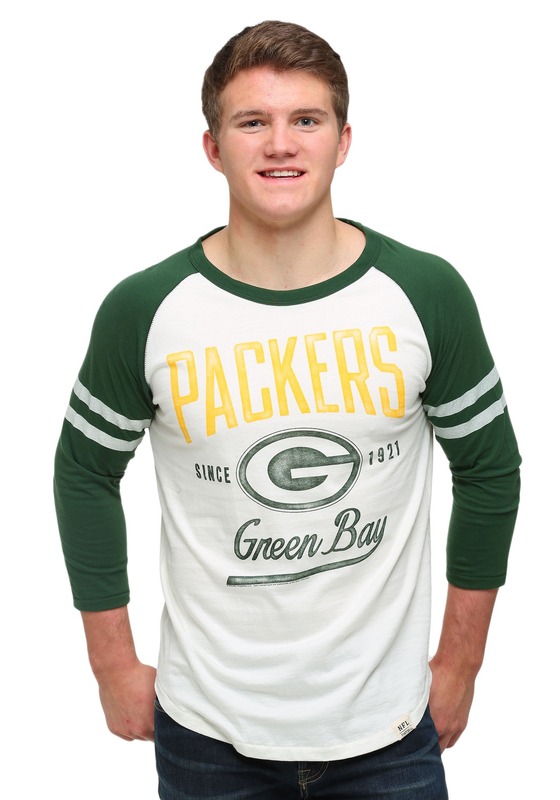 No fan should be without this Green Bay Packers All American Raglan shirt! 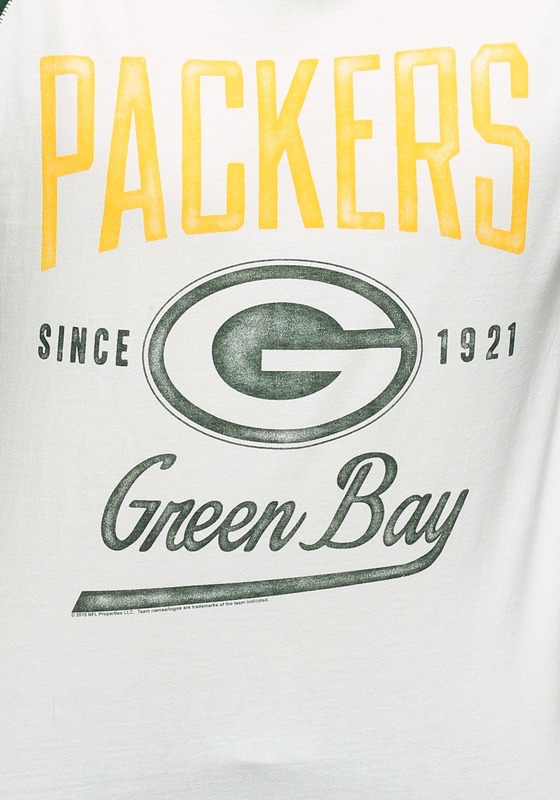 Officially licensed by the NFL, this all-cotton shirt has an awesome retro look, with a two-tone design and striped 3/4 sleeves. 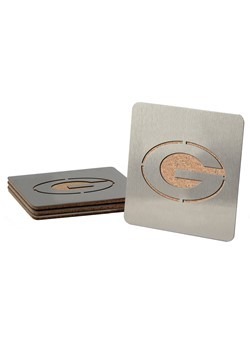 Wear it as part of a casual getup, or fancy it up with a nice jacket and your best pair of jeans. Either way, there's a lot of possibilities with this classic raglan. 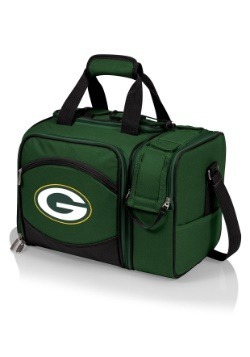 Makes a great gift for that loyal Packers fan... or yourself, of course!